I love books. When they are thoughtfully put together, I love their feel in the hand and their layout on the page. 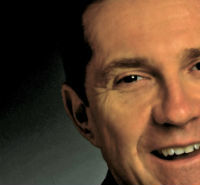 There is a brand new Bible that has taken a new approach to how it can be enjoyed. 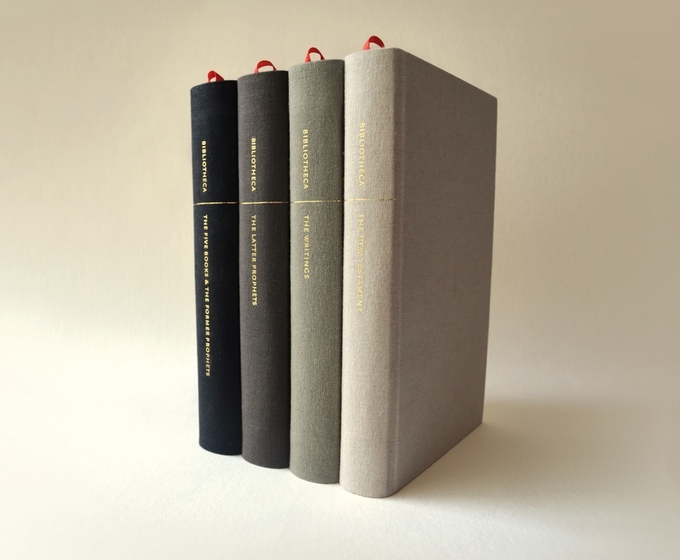 Adam Greene decided to publish a Bible that feels and looks like a good book: five volumes, good-sized type, and text stripped of chapter and verse headings. 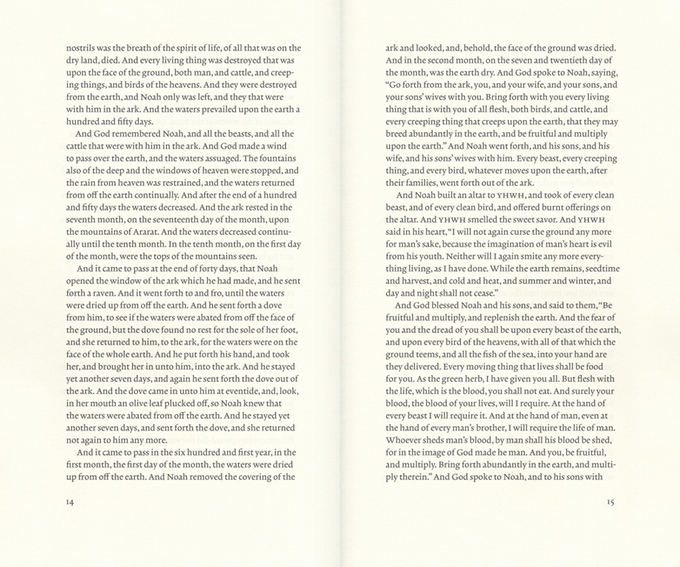 This Bible reads lets you read it like a great novel. 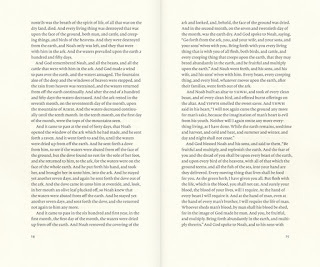 It is the sort of Bible that Greene hopes will work well with people from this generation who are not familiar with, or perhaps put off by, those old versions of the Bible with their conventions such as chapter numbers, verse numbers, section headers, cross references and notes, all in impossibly tiny type on the thinnest of paper. Why not let the Bible be read as the sort of book with which we are familiar? He decided to start with one of the earlier American versions of the Bible, the American Revision of 1901, and replace archaic words with modern language. He then commenced a Kickstarter campaign to raise funds for printing it. The campaign was wildly successful, with so many subscribers that the project took two years to complete instead of a few months. My set finally arrived before Christmas 2016. You won’t find this Bible on any bookstore shelf, but there are orders apparently being taken for a future printing at Bibliotheca.co. More than anything else, this new version forces us to rethink how we read the Bible and how we help a new generation of people who have not grown up in the church understand its message. And yes, having no chapter and verse notations forces us to read more deeply and extensively (and thus, more contextually) to find the story we want to experience again.